I remember the days of the peanut butter aisle only having two options: smooth or creamy. Now when you go down the aisle you’re met with so many amazing, delicious nut butter varieties. For a nut butter lover, I’m over the moon that there are so many choices for my dipping and eating-it-by-the-spoonful pleasure, but those butters can be expensive (one of my favorites runs $12 a jar!). 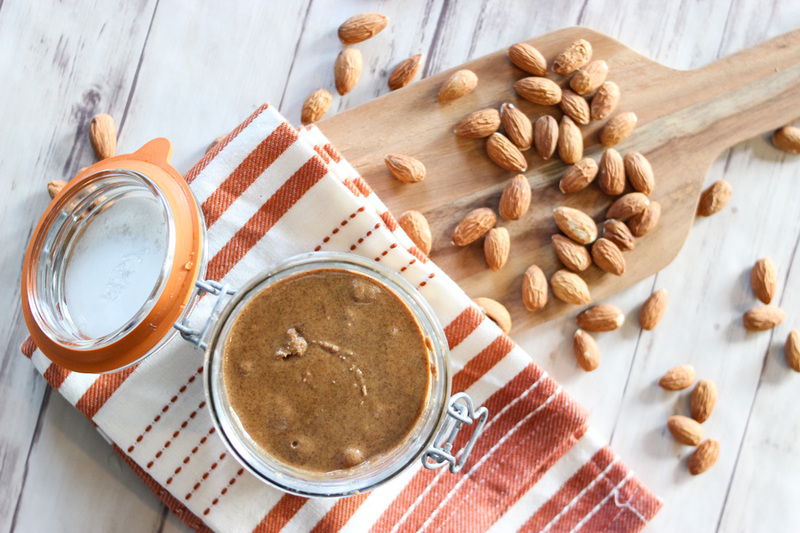 Thankfully, making your own nut butter is simple as can be! 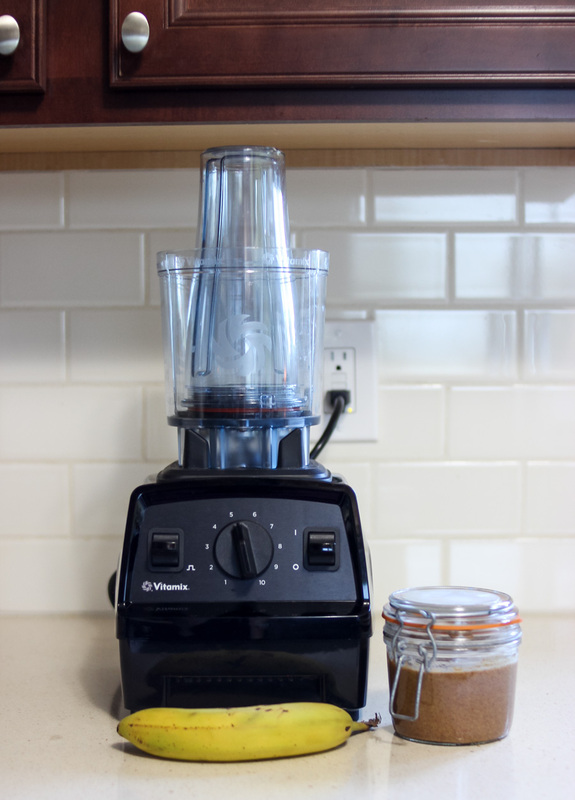 In 5 minutes flat, I’m able to make nut butters at home for a fraction of the price using my Vitamix. Aside from saving a few pennies, I love having control over the quality of nuts that I use (I use this brand most of the time) and it’s so much easier to control the amount of salt and sugar that’s in them. 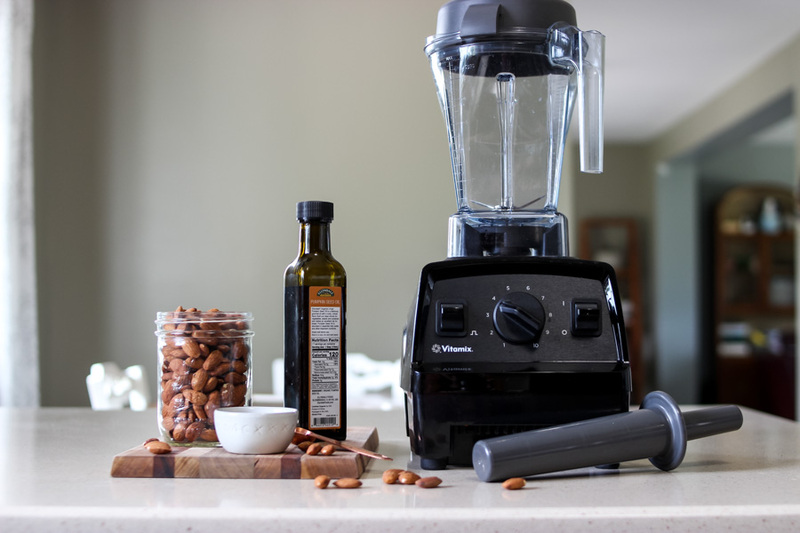 The powerful 2 HP motor of the Vitamix can handle even the toughest ingredients to create high-quality blends in little time. 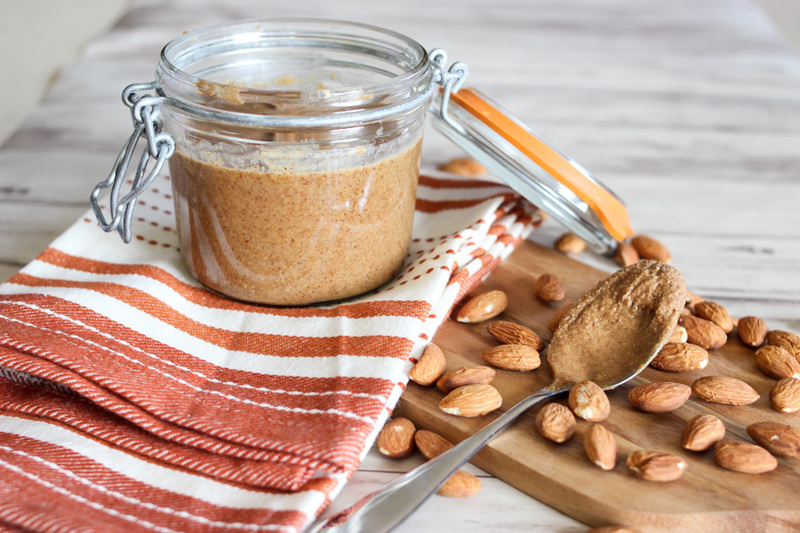 Making your own nut butter can be as simple as using one ingredients (the nut of your choice) or adding a unlimited number of ingredients to change the flavor. 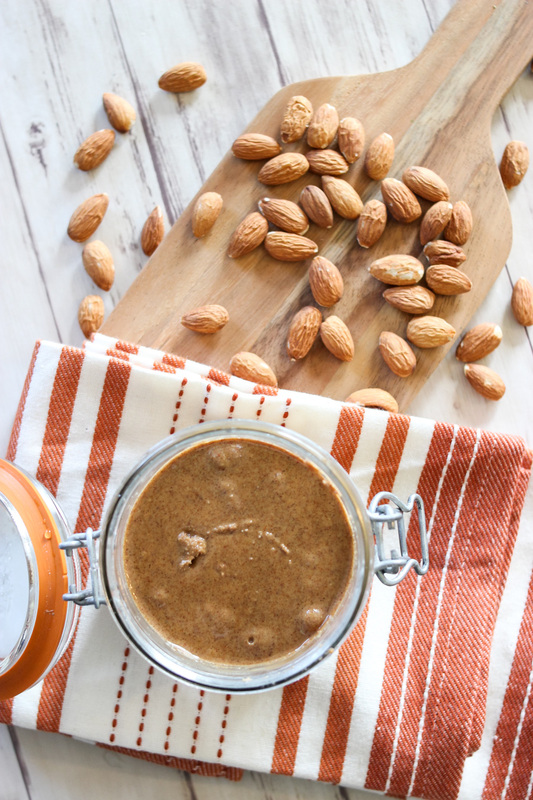 Most often I just make a plain almond butter which requires one simple ingredient: almonds. Yep, that’s it. 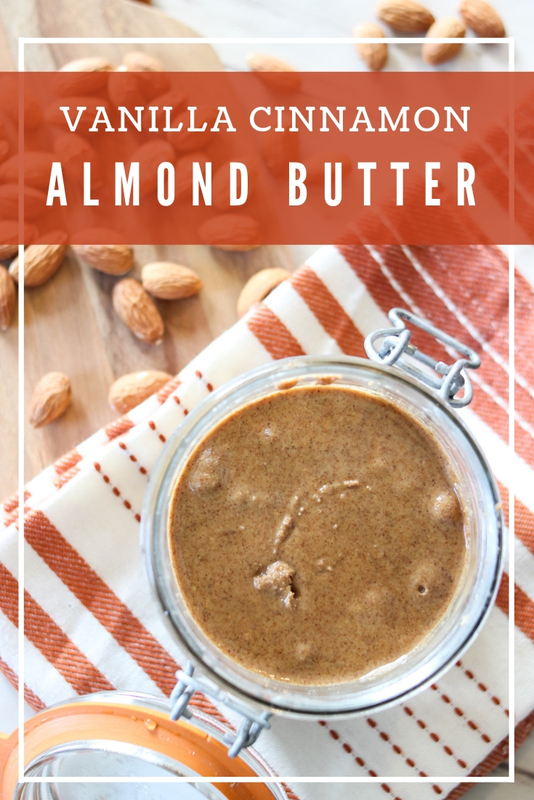 Nothing else needed for delicious, creamy almond butter. Use at least 2 cups of nuts. This makes it easier and quicker for your machine to grind and blend your nuts into a smooth consistency. 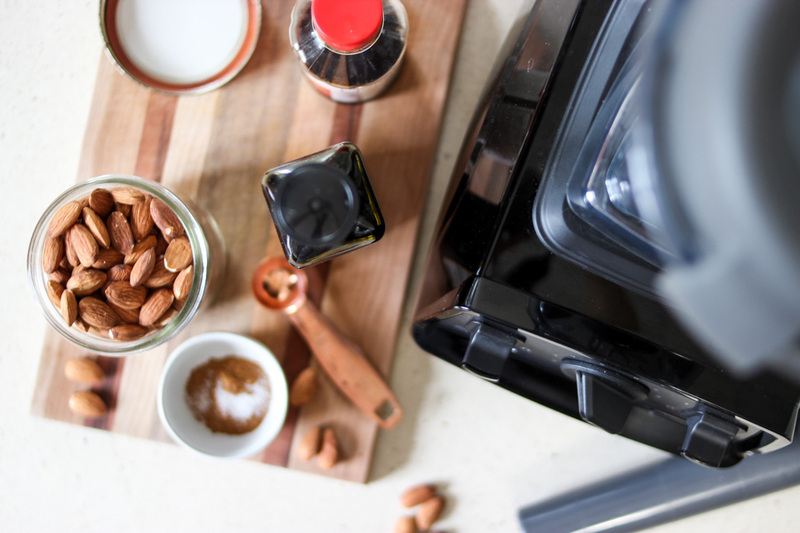 When using almonds, roast them first. While you can make it with raw almonds, the roasting process brings out the oils which helps to facilitate a creamy blend. Start with as few ingredients as possible. Wait to add ingredients, such as seasonings or sweeteners, until your butter is your preferred consistency. 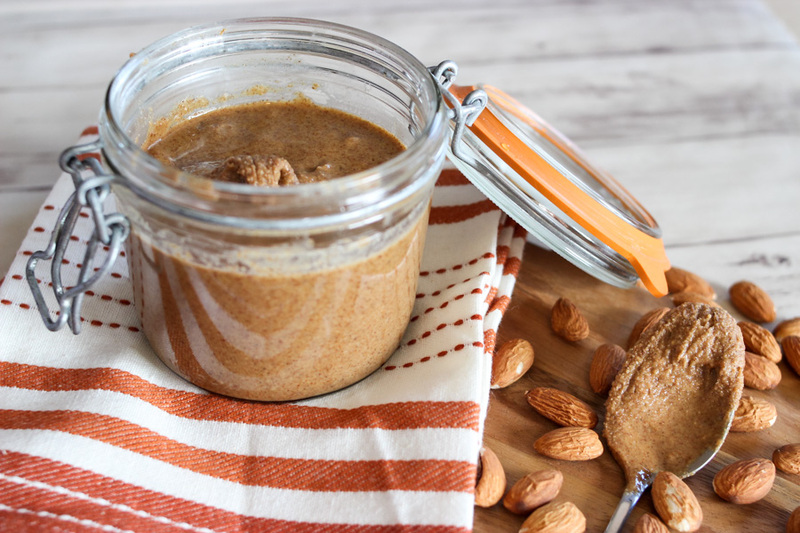 This vanilla cinnamon almond butter is delicious! Smooth vanilla and aromatic cinnamon combine for an amazing combo! Perfect to eat by the spoonful, slather on toast or muffins, drizzled on pancakes, dipping apples and so much more! 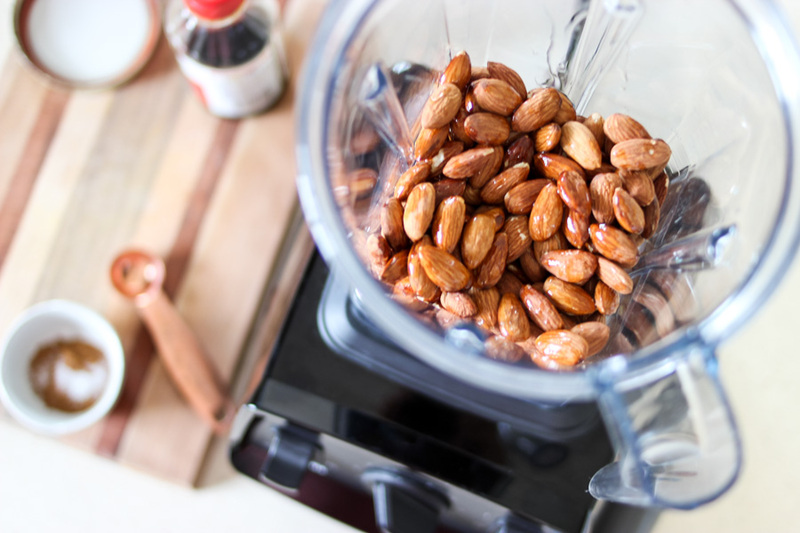 Add almonds to Vitamix and start blending on speed 1 and quickly move up to speed 10. Continue blending until nuts are churned into consistency desired. Use tamper to push nuts down to blend more uniformly. Turn off and add the rest of ingredients. Turn on speed 1 to mix in ingredients. Transfer to airtight container. Best kept refrigerated. Enjoy on toast, english muffins, with apples, on pancakes or waffles, in smoothie bowls and overnight oats! 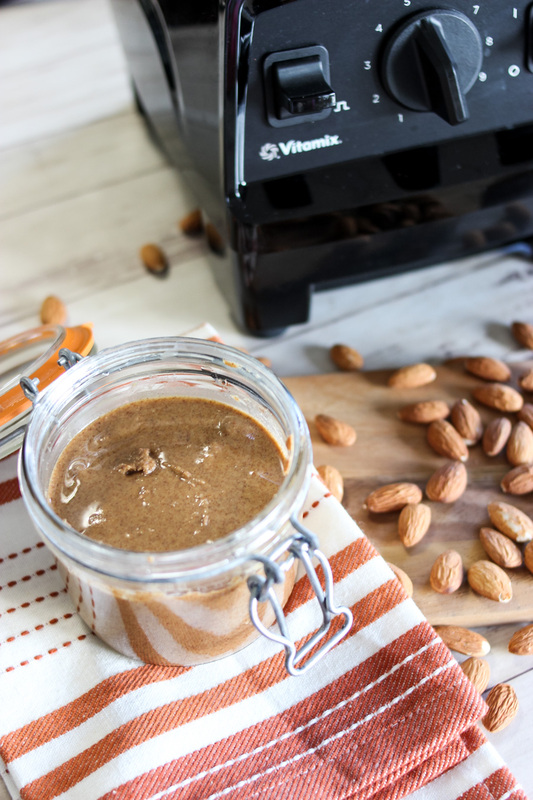 While you can make nut butter in a food processor, it takes forever, is hard on your machine and I was never able to get the texture that I preferred. My Vitamix has pretty much replaced my food processor for most of my cooking needs and I love having one less thing to store. With the addition of the Personal Cup Adapter, my Vitamix gets even more everyday use. 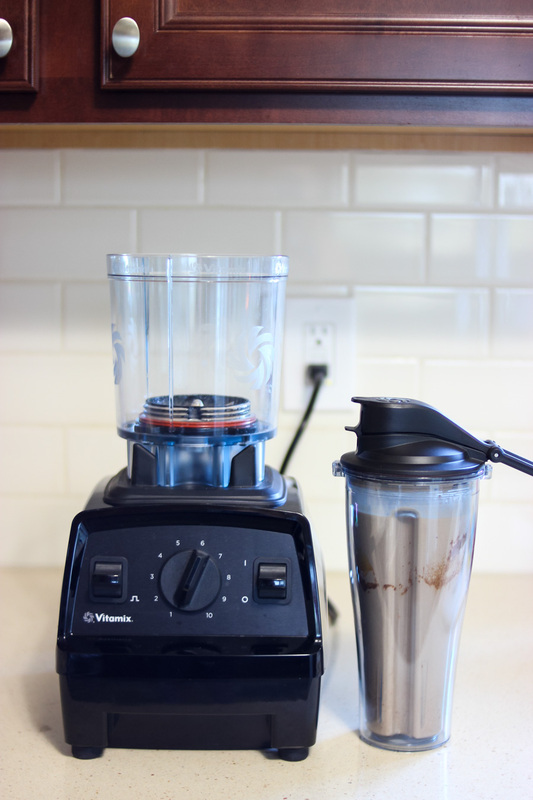 The Vitamix Personal Cup Adapter is awesome because it allows you to blend and go with the same container. No more having to transfer from blender carafe to another container = less dishes! The kit comes with two portable blender bottles so that you can prep and take two to go! I love taking a little time the night before to throw all my ingredients together for my favorite smoothies and then just blend and go on our busy school mornings. I also loving it for quickly chopping ingredients – no cutting board needed. Just toss in your ingredient and they’re chopped in seconds! You can save 15% on the Personal Cup Adapter with the purchase of a Classic Series Vitamix blender by using the promo code MMVITA2018. 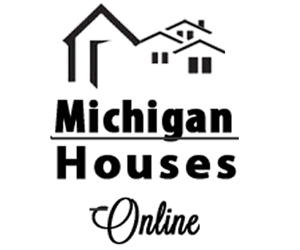 Offer ends December 31, 2018. The Vitamix Personal Cup Adapter is available to purchase at Williams Sonoma, Sur La Table, Target, and Amazon. Wow, this looks so yummy! And perfect for the fall season. I am pinning now so I remember to use it! Thanks! I love making my own nut butter! I’m definitely going to try this recipe because the vanilla and cinnamon sounds like it would be a great combo! I’ve been looking to start making this myself! Thank you for the helpful tips! This looks so yummy! Would make a great neighbor or teacher gift this Christmas!